Peachtree Publishing Company, 9781561458455, 144pp. Can Nate discover the importance of good sportsmanship? Eighth grader Nate Osborne is a forward on his soccer team, the Strikers. He and the rest of his teammates are competitive, especially when it comes to playing against their rivals, the Monarchs. During a game against the Monarchs, Nate has to decide between going for a goal after a player on the rival team gets injured, or kicking the ball out of bounds as an act of good sportsmanship. What is the balance between playing fair and playing your best? 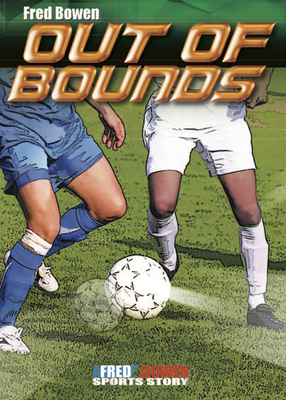 Author Fred Bowen continues his Sports Story series with play-by-play action that's sure to keep readers on the edge of their seats Back matter features a real-life lesson about sportsmanship from sports history.